This divine rebuke to Moses was occasioned when Moses complained of his inability to speak eloquently for God before Pharaoh. It is also a rebuke to each of us who would dare question God’s wisdom in making us as we are—even with all our innate defects and handicaps. With our very limited knowledge of God’s purposes and our very short-range view of eternal priorities, we are ill-equipped to prejudge His ways with us. To those who questioned why a man should be born blind, for example, Jesus answered: “Neither hath this man sinned, nor his parents: but that the works of God should be made manifest in him” (John 9:3). As another example, when certain believers complained about the lethal illness of a loved one, Jesus replied: “This sickness is not unto death, but for the glory of God, that the Son of God might be glorified thereby” (John 11:4). The steadfastness of Stephen’s faith as he was stoned to death led to Paul’s conversion, though at the time it must have seemed difficult for his Christian brethren to understand and accept. In another context, but stating a principle highly relevant to such questions, Jesus reminds us, “What I do thou knowest not now; but thou shalt know hereafter” (John 13:7). God is not capricious, but He is sovereign. Whatever He does is right, by definition, and whatever He allows is for a holy purpose. “Shall the thing formed say to him that formed it, Why hast thou made me thus?” (Romans 9:20). 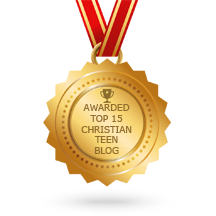 This entry was posted in A CLICK A BLESSING TODAY, CHRISTIAN NUGGETS and tagged God's Sovereignty. Bookmark the permalink.